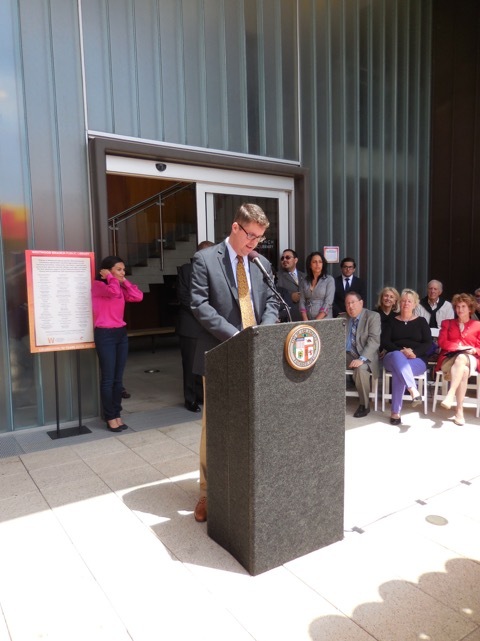 The Westwood branch public library celebrated its 10-year anniversary on May 9th . They saluted a decade of learning, literacy, community and fun. There was a special appearance by Harry Potter and a musical performance for the award-winning Bruin Harmony, UCLA’s only all-male A Cappella ensemble. There was also a visit with LAFD firefighters from Westwood Village’s fire station 37, as wells as special presentations with Los Angeles City Councilmember Paul Koretz, Steve Sann,Chairman of Westwood Community Council, City Librarian John Szabo, President of the West Los Angeles Chamber of Commerce Roozbeh Farahanipour, Board member of the West Los Angeles Chamber of Commerce Elham Yaghoubian, and other dignitaries. 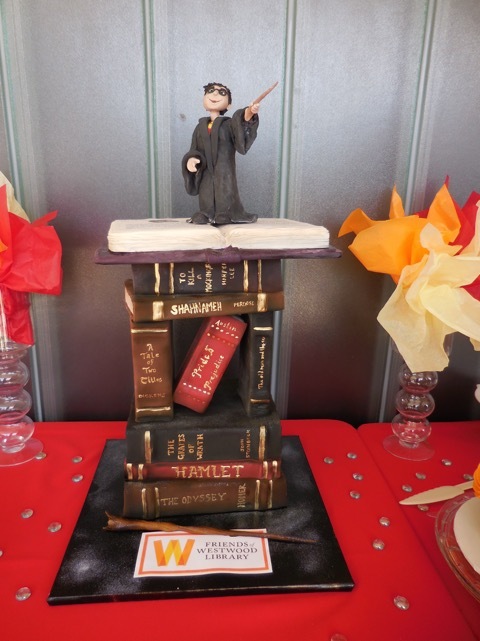 There was also an amazing anniversary cake by Cake and Art Bakery decorated with classic books such as Hamlet, To Kill a Mockingbird, and the Shahnameh as a respectful nod to all the Iranian-Americans who visit the library. 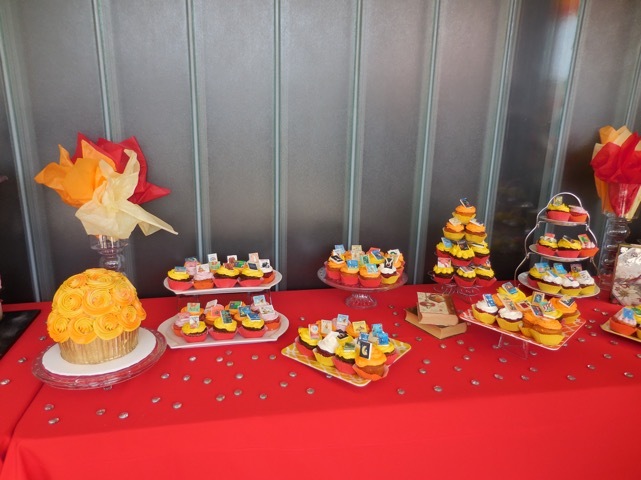 There were also tasty cupcakes courtesy of Farahanipour’s award-winning pastry chef Rana Pourarab, with each cupcake decorated with a fondant mini book. Never has reading been so tasty! There was also a concert by the UCLA Gluck Fellows Brass Septet Concert as well as one from soprano Susanna Lucarelli. Teens enjoyed custom airbrush tattoos and kids enjoyed magic tricks from Tony Daniels as well as Thor’s reptile family safari. “I’m so excited as Board Member of the Friends of Westwood Library to be celebrating this branch’s 10 year anniversary. We do have largest selection of Persian books in all of the Los Angeles area Public Libraries and excited to have the Shahnameh in our celebration cake as one of main books in our community. 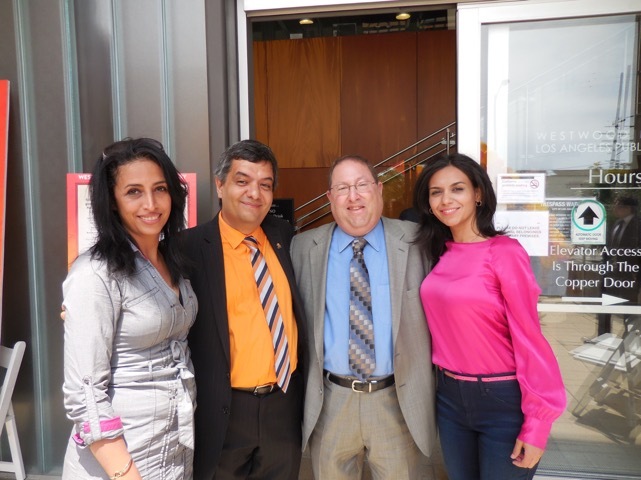 I hope this year we will see more participation from the thriving Iranian- American community,” said Farahanipour. Congressman Ted W. Lieu, CA 33. Photo courtesy of HPC. “It’s an amazing feeling to be a part of this great celebration as a board member of the Chamber of Commerce and especially as an author, “ added Yaghoubian, who is also the director of networking and outreach for the Authors of the Westwood Library Committee. 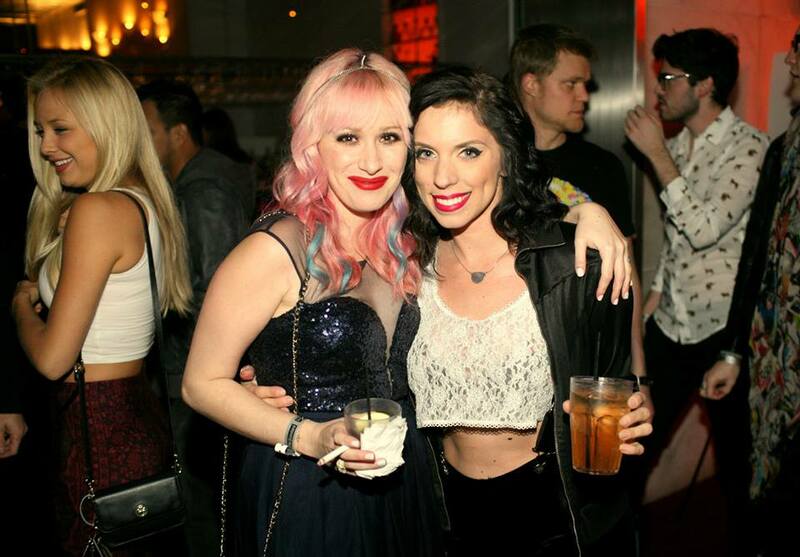 Ladygunn Magazine had their #11 Issue Launch Party at the trendy Roof at the Standard in Downtown LA. Actresses Brittany Snow, Chrissie Fit and many others celebrity guests were in attendance. 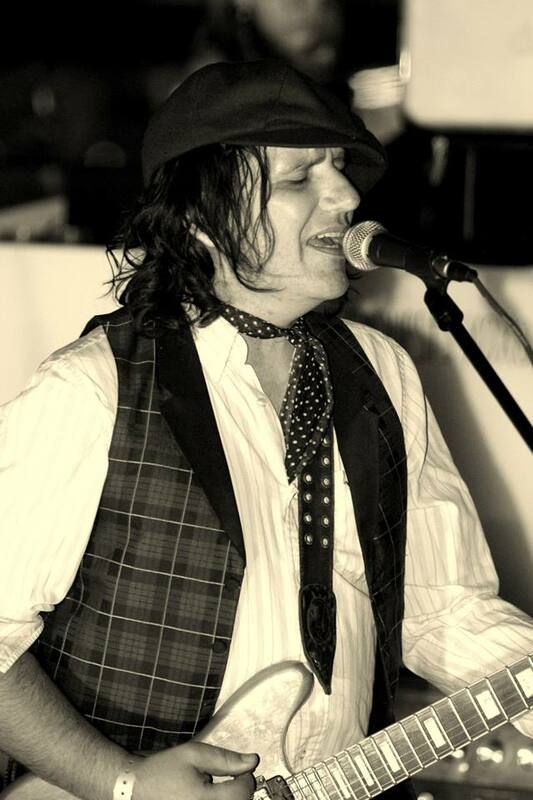 The popular band, The Relationship, performed for the audience and the DJ spun some great tunes. Sponsors for the event were the Organic Face, The Style Club and Tristan + Trista. Actress Brittany Snow on the red carpet. 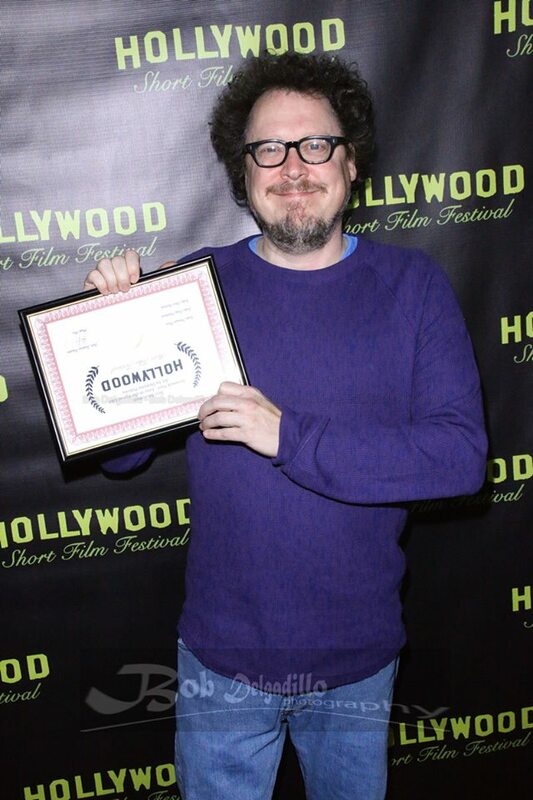 Director and Producer, Founder of The Hollywood Short Film Festival, Mark Mos, held the festival’s awards ceremony at Sal’s Comedy Hole on popular Melrose Avenue on February 21st. He hosted the event with actress and comedienne Tanya Estrada. Q and A with festival founder Mark Mos and filmmakers Hania Malachowski (“Fetch”) and Dominic Polcino (“Lovesick Fool”). Photo courtesy of Vida G.
Lovesick Fool, a film which I voiced two roles in, won best animated film at this prestigious festival. This film was written and directed by Dominic Polcino (The Simpons, King of the Hill, Family Guy) and it starred Lisa Kudrow, Fred Willard and Janeane Garofalo. 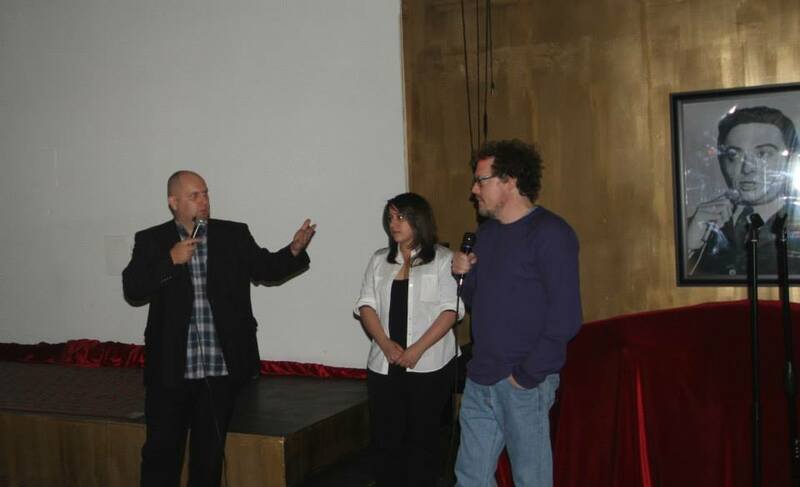 This year there were many quality films screened at the festival and the judges were Craig Hutchison (Director/Producer), Chris Ramirez (Director/Producer), Natalia Nova (Director/Producer). These films were short dramas, comedies, documentaries, animated films and more. 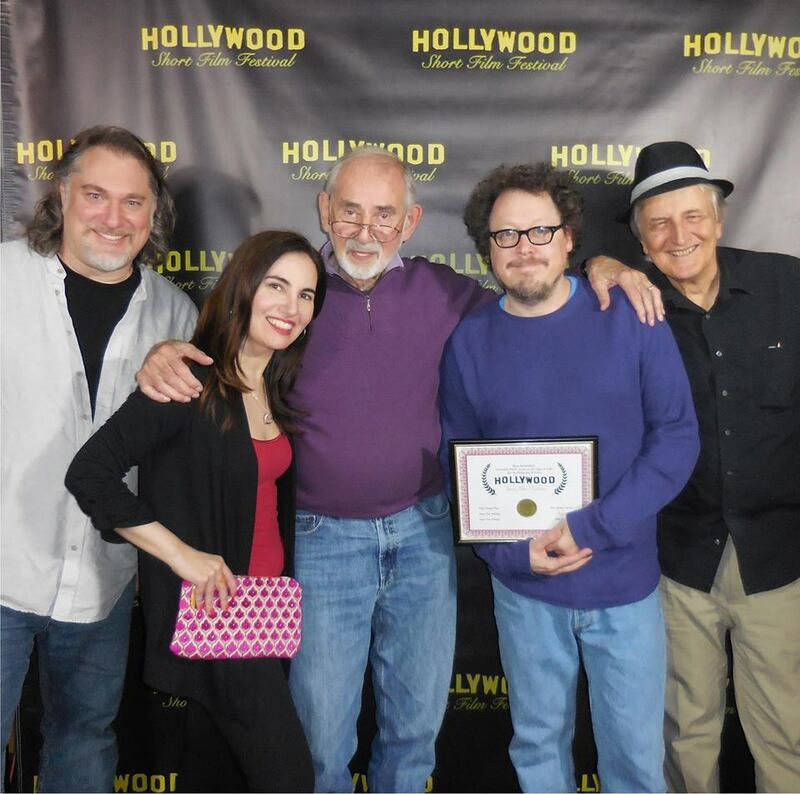 From left to right: Allan Jacobsen of Nickelodean Animation, HPC’s Vida G., legendary voiceover casting director Wally Burr, Dominic and voiceover artist Paul Gregory. Photo courtesy of Vida G.
“We got to screen some great films. It was time well spent for moviegoers attending the festival,” said Mos, who is also a filmmaker with 150 movie credits under his belt. Ever the diehard supporter of films, Mos also created the Sunset Film Festival and the LA Short Film Festival. Attendees at the Awards Ceremony were Janet Bergstrom, Professor, Cinema and Media Studies UCLA, creator of “Sunrise” for Twentieth Century Fox Films, Dominic Polcino, Director/Animator (Family Guy, King of Hills, The Simpsons, Lovesick Fool), Tahyna Tozzi-MacManus, Actress/Director (CSI, X-Men Origins: Wolverine, Charlie’s Angels), Kyle Robinson, Director/Visual Effects Supervisor (Red 2, Green Lantern, Man of Steel), Seri DeYoung, Actress/Director (Breaking Bad, Medium, NCIS), Michael Kehoe, Miscellaneous Crew: Mission Impossible III, Speed, Panic Room, Vanilla Sky, Hangover, John T. Connor, Cinematographer/Assistant Camera (Birdman, Her, Fight Club), Lee Crowe, Animator, Faculty memeber at The Art Institute of California, Hollywood, Alex Sparrow, Actor/Composer, Director, Winner “X-factor”, Yannis Zafeiriou, Director/Assistant Director (Extreme Makeover, Greystone), Aloaye Melvin Omoake, Writer/Director, Joshua Ovalle, Director/Writer, Guy-Roger Duvert, Director/Producer/Composer, Nello DiGiandomenico, Writer/Director, Taeho Kang, Director/Producer, Josh Miller, Director/Producer, Allan Jacobsen of Nickelodean Animation, Wally Burr, renowned voiceover casting director, Paul Gregory (Lovesick Fool) and yours truly, HPC’s own Vida G. (Lovesick Fool). 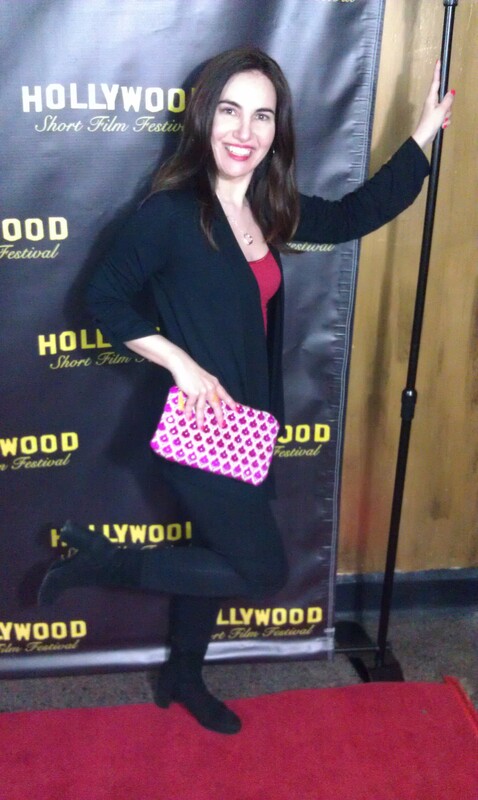 Kicking up my Chanel heels to celebrate Domnic’s win with my beautiful Kathy Fielder clutch in tow. Photo courtesy of HPC.